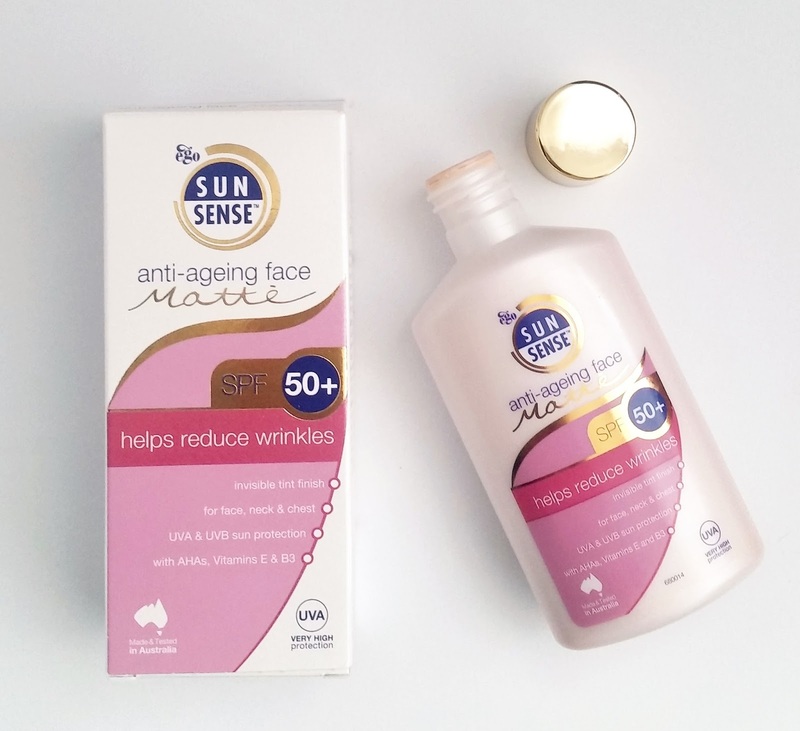 Home / SkinCare / SunSense Anti-Ageing Face Matte SPF 50+. 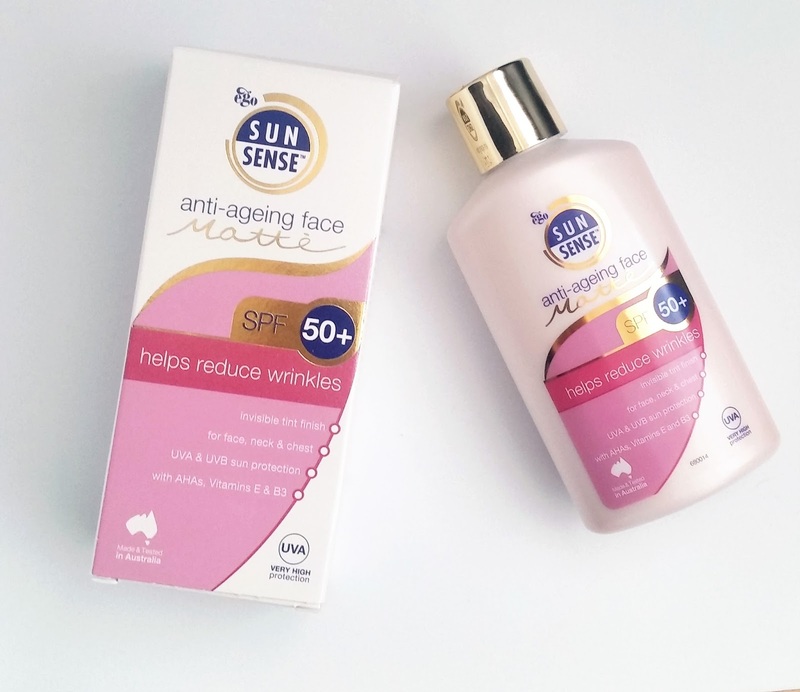 SunSense Anti-Ageing Face Matte SPF 50+. SunSense is Australia's No.1 sunscreen, with a SPF 50+ it protects skin against UVA and UVB rays, perfect for the whole family and sensitive skin. Wearing a high factor sunscreen not only protects your skin from the harmful rays from the sun, but can also provide protection for your skincare regime. Your skincare products might be at the high-end or low-end of the retail price, whilst each one will be providing different benefits to your skin that u want to achieve. If there is no SPF in your routine then you may not be getting the maximum benefits that u should be, from the products you use. Looking for an SPF used to be confusing, but brands have widened their range to include specific products for your needs. Body SPF's tend to be more greasier because they are formulated like your typical body moisturiser. Face SPF's are formulated to the same standards of your skincare products and can include the same benefits, such as being non-greasy and much more. SunSense offer a broad spectrum range that is suitable for all skin types whilst providing products with specific needs. Protection for the whole family, sensitive skin, or specific protection for your face, SunSense has you covered. The dual-purpose sun cream combines the anti-ageing benefits of alpha hydroxy acid (AHA) with broad spectrum protection to leave skin feeling fresh. SunSense Anti-Ageing Face contains lactic acid (alpha hydroxy acid) to help visibly reduce fine lines and wrinkles. It combines the anti-ageing benefits of lactic acid with SPF 50+ broad spectrum protection to leave skin feeling fresh and youthful looking. Contains Vitamin E to help improve the appearance of age spots; and vitamin B3, to help increase skin's elasticity. The matte finish tint blends effortlessly to your skin tone. SPF 50+, UVA and UVB broad spectrum protection. Helps protect against premature ageing from sun exposure. Helps reduce the appearance of fine lines and wrinkles, leaves skin feeling fresh and youthful. Oil-free base – ideal for combination and oily skin, with an invisible matte finish, suitable for everyday use, and suitable to wear underneath make-up. Contains Vitamin B3 to improve skin tone and texture, helps enhance skin barrier function, locks in moisture to the skin and increases elasticity. Ammonium hydroxide, Aqua (water), Butylene glycol, C12-15 Alkyl benzoate, Cetyl alcohol, Cyclomethicone, Decyl glucoside, Dimethicone, Disodium EDTA, Glycolic acid, Iron oxide black CI 77499, Iron oxide red CI 77491, Iron oxide yellow CI 77492, Isostearic acid, Magnesium aluminium silicate, Niacinamide, PEG-100 stearate (and) Glyceryl stearate, Propylene glycol, Tocopherol, Xanthan gum. 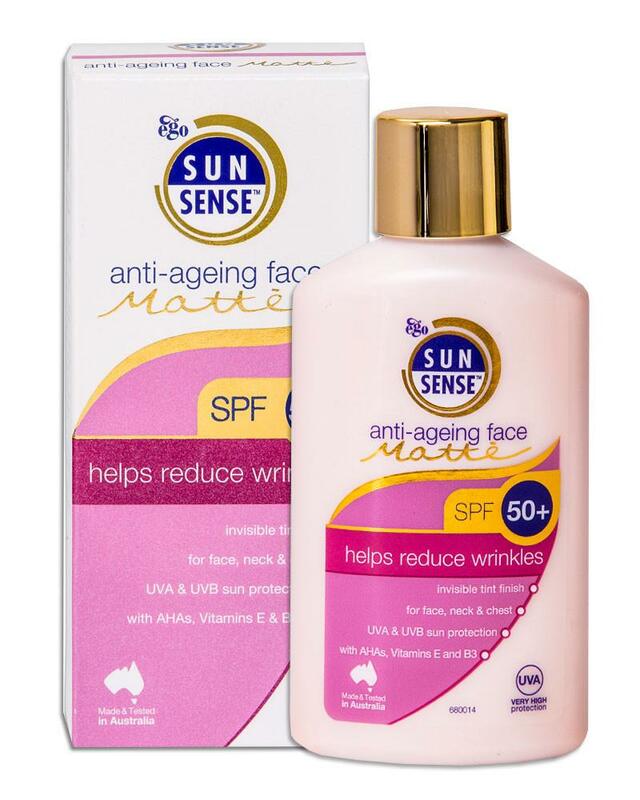 The SunSense Anti-Ageing Face Matte SPF 50+ is situated in an eye appealing bottle, that you shake before use. Unscrewing the gold top, you will notice the light pink colour of the sunscreen before applying. I usually dispense to the back of my hand and then apply to my face, neck and chest. The anti-ageing sunscreen evenly distributes over your skin with ease and is absorbed really quickly leaving you with soft skin with a matte appearance. Ideal For combination To Dry Skin. Non Comedogenic (Wont Clog Pores). Free Of Fragrance, PABA & Lanolin. The anti-ageing face matte sunscreen has not irritated my skin but has improved my complexion with each use, thanks to the anti-ageing ingredients included. Not only are you protecting your skin from the daily UVA & UVB rays, but you are also combining a sun protection with proven skincare ingredients that work! SunSense is easy to include in your skincare regime and works in harmony with your other products, find out more and protect your skin with a high factor sunscreen with added benefits at SunSense. Save 30% quoting code SunSense30 at the checkout. X Neil.